The process of a divorce is tough on everyone in the family from the spouses to the children whose lives are about to change significantly. Divorce proceedings often involve intense emotions and some of this tension may carry over into the planning involving child custody and visitation. When going through a divorce, the parents must remember that the situation is just as difficult for their children and they must put the needs of their children first when forming a parenting plan. Creating a sound parenting plan is important because the plan acts as a blueprint for the new family structure and influences the relationship between the parents and their children. What Makes a Good Parenting Plan? The details of a parenting plan should be based on the individual needs of your family, but it is important for these plans to be flexible, responsive, practical, and stable for the sake of the children. An effective parenting plan provides emotional security for the children and has the flexibility to grow along with the parent/ child relationship. When creating a parenting plan, the parents must consider the details of the plan as parents and not as opposing parties in a divorce. The parents will be able to truly accommodate and understand the needs of their children by putting their own differences aside. It is also important for a parenting plan to be able to be modified as time goes on to accommodate for changes in the lives of the children and parents. Creating a parenting plan that is flexible and accommodating to the needs of the children may be difficult for divorcing parents to do on their own. Fortunately, divorcing couples have several options when it comes to getting help from a professional. Family attorneys who have experience in matters involving child custody can provide valuable insight and help parents make decisions regarding the details of the plan. These professionals can suggest options based on their experience that the parents may not think of and help decide which options work best in their specific situation. The other option for professional help when forming a parenting plan is a third-party mediator. 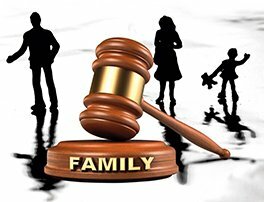 Unlike family attorneys, third party mediators simply facilitate the conversation while the parents ultimately make the decisions. This helps create an open dialogue between the parents and leaves all binding decisions to them. Mediators that provide this type of assistance can also help keep both parents focused on what is best for their children. Does this plan work for my children and others in my family? Does this plan accommodate the emotional security of my children? Is this plan responsive and does it provide stability for my children? Is this plan centered on the needs of my children? Are the details including times of visitation practical? If you are going through the process of a divorce, creating a parenting plan for your children is an important step. The divorce process can be just as difficult for children as it is for the divorcing couple and creating a plan that provides stability and emotional support in the aftermath will help the children adjust. Our family law attorneys at Allen Gabe Law, P.C. 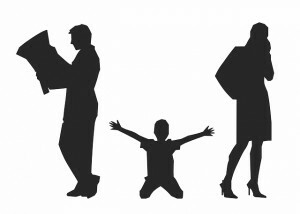 have the expertise to help divorcing parents create a sound parenting plan for their children. Give us a call at (847) 241-5000 to learn more.